Managing Up is to be interpreted as implicit and enduring, because these skills allow the talented assistant to anticipate needs, establish open lines of communication, and – in partnership with the executive – drive the business forward at a faster pace. This goal achievement approach ensures that projects and policies get completed in a timely manner. 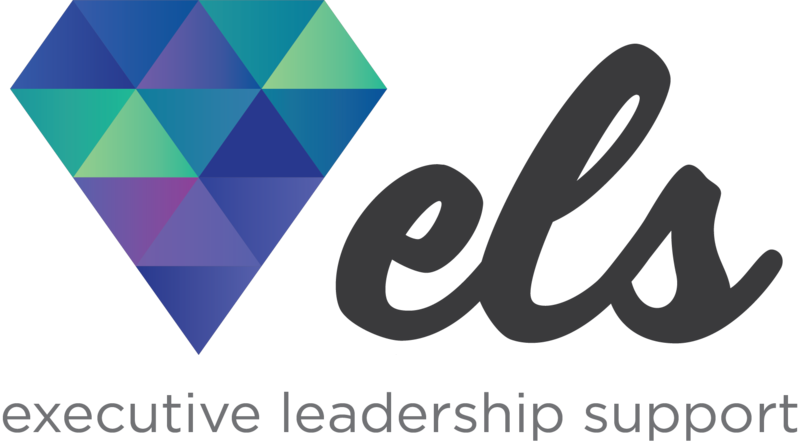 Melba Duncan will speak on the courageous action of Managing Up driven by critical thinking at the ELS Forum: Toronto. In anticipation of her session, we’ve asked her to enlighten us on what it truly means to be accountable as an executive assistant. We’ve split the keys to the Managing Up strategy into four easily digestible categories: know and understand the executive you support, connect actions to their professional goals, be a resource for helping them overcome obstacles, and demonstrate how they can best leverage your strengths. “First, observation and your ability to read the moment is essential.” Duncan explains, “Get to recognize every emotion and every thought through both voice and body language. Get to know their style in clothing, taste in music, foods they prefer – everything. That will help you understand what they are thinking and how they are feeling.” Get to know them on a human level. Ask clear and direct questions so that you better understand their professional and personal goals, their mission with the company, and what their next intended steps are. Observe and ask questions. “Be intellectually invested in making sure you understand what’s important to that executive at any given moment.” Confirm details and expectations. According to The Muse, “All employees should know their direct manager’s goals, objectives, and desired outcomes. If you aren’t clear on those things, now’s the time to set up a one-on-one meeting to fix that.” Observe and understand your executive’s communication style. Understand their preferred method of communication. Is it email? Phone? Instant messenger? Communicating in person? Also, understand the executive’s role and position within the company. If they are well liked, they probably do a good job of Managing Up themselves. Observe all of these factors so that you understand how to better assist them. There is ongoing accountability for communicating with the executive in order to be a superb support system. From time to time, you will need to garner support from the executive. Duncan explains this can come in different forms, whether an approval for a request, opportunity for continued education, or more access. Raising awareness so that the executive understands what is necessary could be encouraged by introducing the need: “In order to save you time and be more effective in what I do to assist you every day, I should have available [insert request].” It’s your responsibility to show how your request benefits your executive and aligns with their professional goals. Taking action and demonstrating your knowledge and skills to the executive, by reducing his/her workload, and making him/her more productive is the hidden talent of the professional executive assistant. Confidence to make decisions and execute on behalf of the executive will also expand your role, diversify your responsibilities and reward you with appropriate recognition and compensation. For example, you might suggest that you draft responses to certain emails or letters (or draft them and present them to the executive for comment). The more you understand the executive, his/her goals, and the status of his business plan in any given moment, the better able you will be to suggest actions that will prove acceptable and beneficial. It is your responsibility as a business partner to help executives overcome obstacles and more effectively assist them in doing their jobs. If you are rightly matched with the executive you support, then the exchange of ideas and the recognition of each other’s best talents will be apparent. “Many of assistants have enormous talents that are never utilized. It’s time to step forward. Yes, it requires talent, humor, and discretion. But make it clear to your executive, in fact or in deed, what you are able to do that will save the executive time and help him achieve his goals. The concept of Managing Up is misinterpreted. No one is above, and no one is below. This is not a power struggle. It’s about what you can do as an assistant to help the executive to achieve his/her goals and that of the company, while you achieve and expand your career goals. This is a true partnership between executive and assistant that benefits all concerned. It is a method of career development and, as importantly, provides you satisfaction and recognition in your current position. The relationship you develop with your executive will serve you well as you seek career advancement and expand within your role. Take the time to get to know the executive. Make the connections between what you need to do your job and their professional goals. They will come to truly appreciate you as you serve as a discreet resource to help them overcome obstacles, including their own areas of development. And, demonstrate your strengths and what you can do to help them reach their goals. If you manage effectively, your relationship will be built on trust and common goals that will be beneficial to all concerned. Melba Duncan provided powerful insights at the Executive Leadership Support Forum in Toronto. She illustrated powerful skills such as free lines of communication and the endurance necessary to power through hardships with any executive. Attendees were able to listen to her journey and ask questions about her experiences as CEO of The Duncan Group. Melba continuous to inspire executive assistants throughout the country by sharing her knowledge and expertise. The Executive Leadership Support Forum is proud to celebrate her continued success in business and professional development. The Executive Leadership Support Forum is a two-day professional development business course for senior level executive assistants, built from MBA programs. Each session is formatted to hone leadership and project management skills through proven approaches and best practices. In addition to these benefits, attendees gain incredible connections through interactive workshops and group discussions.